What trouble will the five monkeys get in next? An exceptional new app for young readers (with five books in one) is now available from Oceanhouse Media! This is the digital version of the print collection, released in 2009 for the 20th-anniversary of the Five Little Monkeys books, by Eileen Christelow. In print, this book collection has been a favorite of parents, teachers & young readers. In the digital versions, educational enhancements have been added. For the read-a-long effect, each word is highlighted as it is read. Tap on any word to hear it spoken, even in the 'read-it-myself' mode. These book apps also have ample settings, now including home buttons, with the exception of only one thing I would suggest - page guides. These books are nicely narrated with monkey noises and other sound effects in the background. Page turn is by simple 'swipes' and the app has a nice array of settings. This is a great series for pre-readers, learner readers and children up to age 8 to read to themselves. It will likely even enchant toddlers - books for many seasons of your child's love affair with reading. For interactivity, most of the items pictured in the story react to a light tap with a visual image of the word with accompanying audio. For example, tap on any image and you will see the word appear with audio reinforcement. If the image tapped is also represented in the text on that page, the word(s) will highlight as well. I find that omBooks are also the easiest titles to share with multiple children since they do not feature a lot of interactivity to fight over and have very little or no animation. In digital form, the 'Five Monkeys' book apps are even more fun than they were in print. This collection is also a great starting place for a digital library. Several of the books are short enough for bedtime reading, too. 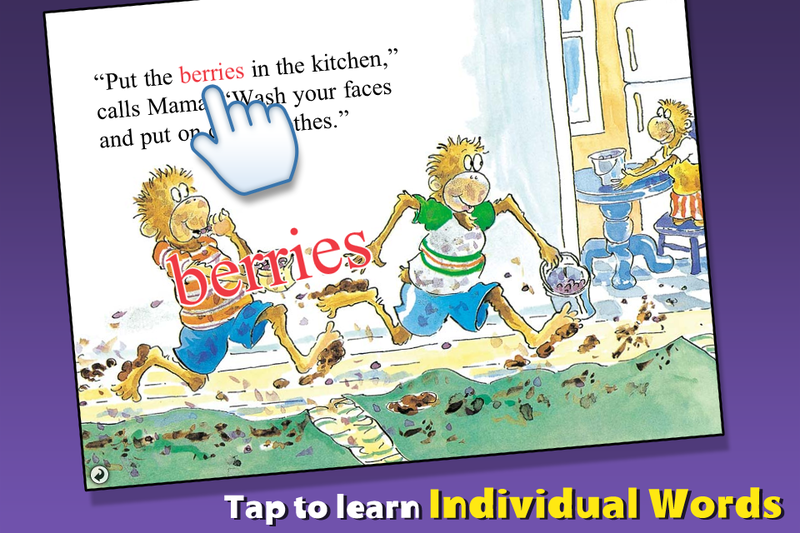 This app (or the individual books) is a great addition to any digital collection for young readers. Highly recommended! Eileen Christelow is the author/illustrator of many picture books, including the Five Little Monkeys series. 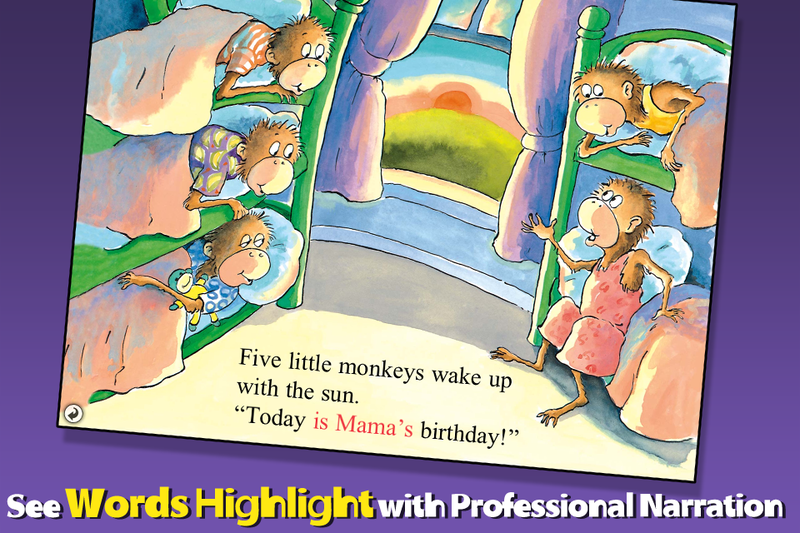 See the video tab above for a demo of Five Little Monkeys Jumping on a Bed.